Technology is a integral part of todays office and directly effects the ability to get the job done. As office equipment becomes more efficient, it is essential in this competitive world to get the most out of your office technology. Organizations are relying on technology in the workplace at an ever-increasing pace. As such, it is now more critical than ever to not only have an office equipment supplier, but a partner that will support you long after the sale is made. Has this happen to you?? 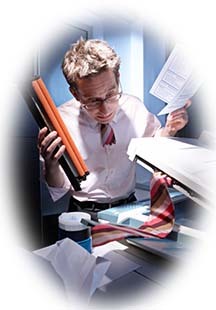 You need to print a crucial document for a meeting, only to find out that your printer/MFP in out of commission. Not only is it extremely frustrating when office equipment goes down or does not work properly, but it also can slow your work to a halt and bring your office to a standstill. We understand that you need as little downtime as possible, which is why your service provider needs to have all their service technicians factory-trained and certified. That means when they repair your device it will be done right the first time by a technician committed to your business needs. What features and functions do you need in your office technology? When your equipment is installed, our experts will ensure that users are fully trained to maximize the full potential of their equipment. ECS Digital is here to help your business with all of its diverse technology needs. We take our customers’ satisfaction very seriously and commit to providing outstanding customer service. 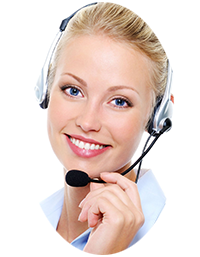 When you call ECS Digital, you will be greeted by a live person dedicated to superior customer care and experts that can provide assistance specific to your unique needs. No matter what your needs may be, please feel free to contact us and let us show you how we can help!